It’s a rare thing when general dentists provide orthodontic treatment. Dr. Romack and her staff of pros offer complete orthodontics for children, adolescents, and adults, including early functional orthodontics to treat problems early and help children avoid extensive treatment down the road. Our Weatherford, TX office is equipped to handle any general dentistry and orthodontic issues that may arise. We knock two birds out with one stone! Straightening your teeth can transform just about everything you see about yourself. You’d be surprised just how important the appearance of your smile is to other people. It doesn’t matter which type of relationship you have with other people (family, friend, co-worker), they will always notice something about your teeth. Tooth misalignment can be a pain to deal with, but there are treatments available that can align them beautifully. Once you are able to align your teeth in a minor or even major fashion, the possibilities of great cosmetic dentistry are endless. Confidence – Many patients feel an increased confidence around people they know and strangers. Esthetics – Alignment procedures help restore and enhance your smile. Dental function – Misaligned teeth can make eating difficult and even painful. Straightening treatments can improve dental function via improving dental alignment. Dental hygiene – Crooked teeth can make properly cleaning teeth difficult. Issues like overlapping teeth are corrected therefore allowing for easier cleaning. 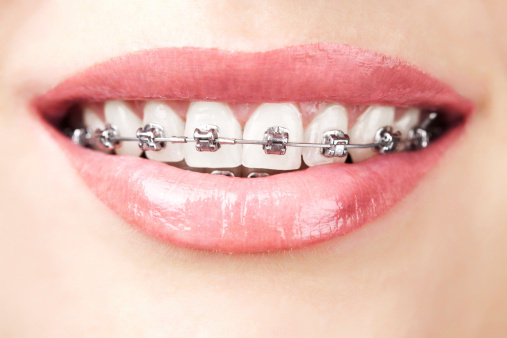 Did you know we are the ONLY local general dentistry practice that also offers orthodontics? It’s true! Dr. Romack has had extensive training in the orthodontic field and has skins on the wall to prove it. She is a member of the International Association of Orthodontics, and has over 500 hours of continuing education in the field. She’s been involved in instructing orthodontic courses for fellow dentists, demonstrating a great deal of knowledge in this treatment discipline. Your family can appreciate her dedication because it means you and yours can receive excellent treatment at an office where they already get all of their other dental healthcare needs met. Dr. Romack and her team of experts are ready to offer you the best orthodontic treatments in Weatherford, TX. We proudly offer our services to the neighboring communities of Greenwood, Peaster, Annetta, Brock and beyond. by: tntadmin at June 23, 2015 .